Discover more about private investigators capability, employment and regulations in Northern Virginia. ICS offers a full range of private investigation services throughout the state and our investigations are always performed by licensed Northern Virginia private investigators. All ICS investigators are committed to providing affordable, reliable and confidential services. ICS agents are held to the highest levels of professionalism and you can expect their findings reported in an accurate and timely fashion. Contact us today to begin your case. ICS is a full service private detective agency. At some point almost everyone will find themselves in a situation where they need information that they are unable to obtain on their own. If you are in a similar situation, you may decide to hire a private investigator. ICS knows that turning to a PI for the first time can be a new and slightly intimidating experience, which is why we always provide a free consultation for our customers. If you live or work in Northern Virginia and need a private investigation, you can feel confident choosing ICS, knowing that every private investigator employed by ICS is licensed and professional. ICS serves Northern Virginia, Fairfax, Prince William, Loudoun, Tidewater, Suffolk, and more. Contact ICS to begin your free consultation by completing the online consultation form. Each state imposes laws and regulations on private investigators declaring what standards must be met and who can become a private investigator. In Virginia, it is illegal to operate as a private investigator without the proper state issued private investigator’s license from the Licensing Department. These laws are meant to protect clients who turn to private investigators in their time of need, to ensure that clients are never taken advantage of, and to also protect those who become the subject of a private investigation. When you contact ICS and speak with a Northern Virginia private investigator you will be dealing with licensed professionals who have met or exceeded all of Virginia’s laws and regulations. After Virginia private investigators have received their license, they must continue to renew their license every 24 months by completing all required continuing education modules and applying for renewal with the Licensing Department to ensure that all Virginia private investigators are keeping up to date on the essential elements of their trade. Even though Virginia law already holds Northern Virginia private investigators to a high level of standards, ICS private investigators are held to even higher standards. ICS strives to uphold the reputation for excellence associated with the ICS brand by conducting timely, accurate, and affordable investigations, maintaining confidentiality at all times, and providing thorough and detailed reports. Our clients feel confident choosing ICS to be their local Northern Virginia private investigation agency because they know ICS only hires the most qualified, experienced, and ethical Northern Virginia licensed private investigators. If you live or work in Northern Virginia and need a private investigation conducted within Northern Virginia or elsewhere in the state or country, ICS can help. ICS has unique and unfettered access to ICS’s global network of private investigator tools, resources, and references, giving a local Virginia company national experience and expertise. Every city and region has its own unique characteristics that can alter or affect how a private investigation should be conducted. 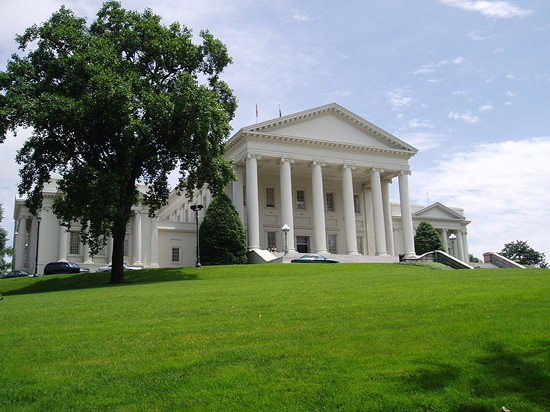 Northern Virginia is made up of several counties and independent cities in the northern portion of the state, and contains the two highest income counties in the nation. Northern Virginia is home to the Pentagon and the Central Intelligence Agency, in addition to several major historic colonial and civil war sites. With over 2.6 million people as of the 2010 census, Northern Virginia is the largest and most affluent region of the state. The constant mixture of history, present, and future that occurs in Northern Virginia makes this region unlike any other in the country, and these local quirks can influence private investigations. If you live in Northern Virginia, you need a private investigator who understands how your town works so call ICS today to speak to a local private investigator and begin your free consultation. ICS accepts most case types and services all areas of Virginia in addition to Northern Virginia. Common case types accepted and solved by ICS include adultery, child custody and support cases, and missing person investigations. If you want to catch a cheating partner, or if you are seeing the common signs of cheating in your spouse or partner, call ICS to open an Adultery, Infidelity, or Cheating Partner investigation. Many people struggle to prove their case to a judge when they are fighting for child custody, visitation rights, or child support payments. By starting a Child Custody, Visitation and Support investigation, ICS can help you get the documentation you need before your hearing. Are you having problems with a deadbeat dad or deadbeat mom who is not paying their child support in full or on time? ICS can track down the other parent and collect the evidence you need in order to prove to a judge that the other parent is not paying their fair share of child support. Call ICS when you need a professional private investigator to locate a missing or lost person. Local and state police cannot help find people when a crime has not been committed, especially in cases of lost birth parents, old friends and lovers, or distant relatives. Instead, call ICS for a Locate Lost People investigation to find who you are looking for. ICS always offers a free consultation, so contact us today to find out how we can help with your case. ICS accepts these case types and more. If you did not see your case type listed above, do not worry, these are just a few of the cases we take. Call ICS today to begin your free consultation, or submit the free consultation form online, and tell us more about your case. Private investigators from ICS are available 24 hours a day, and no case is too large or too small, so please feel comfortable contacting us today.